Hotel Boss is a new hotel that has recently opened in Lavender, Singapore. 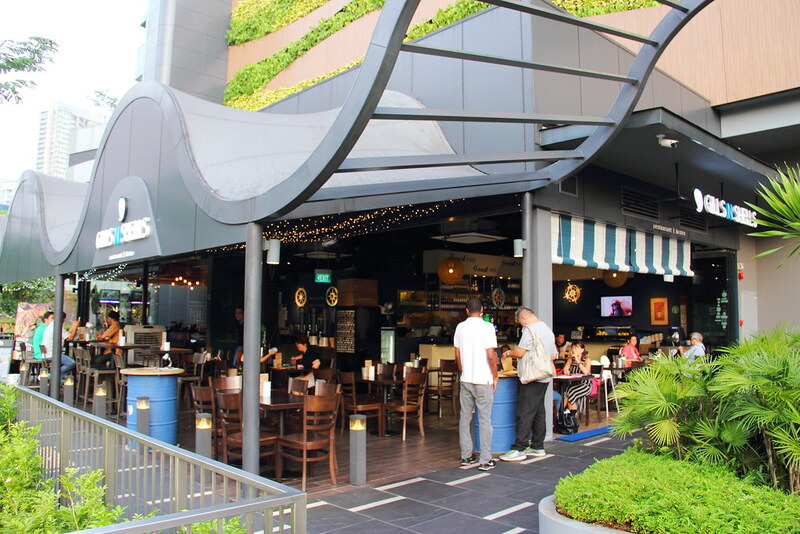 I have been to some of the food establishments in the vicinity such as Founder Bak Kut Teh but I did not know that behind the hotel, along the canal, there are also a few food establishments which is not visible from the main street. 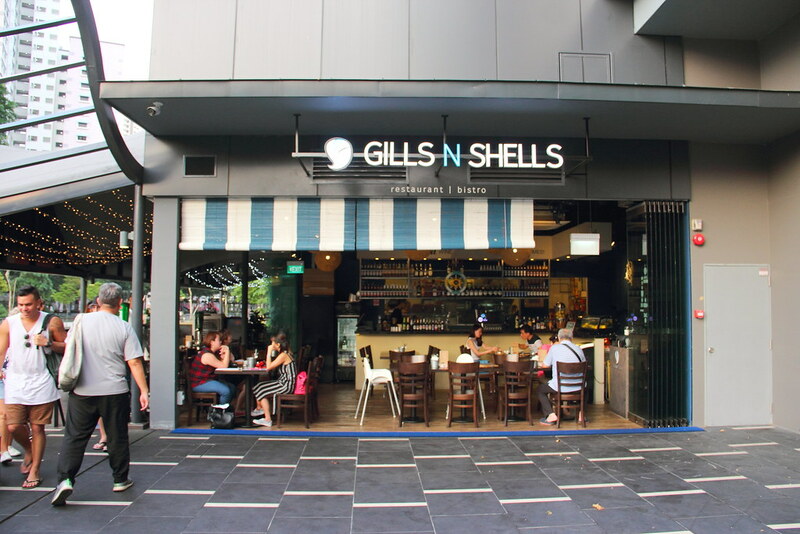 If you are looking for somewhere to chill, Gills & Shells has a bar offering a good selections of cocktails and mocktails. 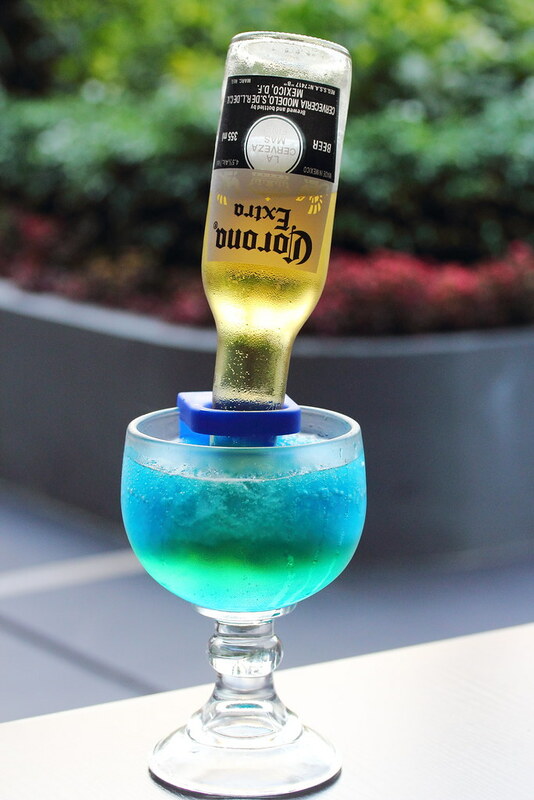 For my pre-dinner dinrk, I opted for the Beergarita ($22.90) that consists of Corona, Tequila, Triple Sec and Lime Juice. A light drink to kick start the dinner. 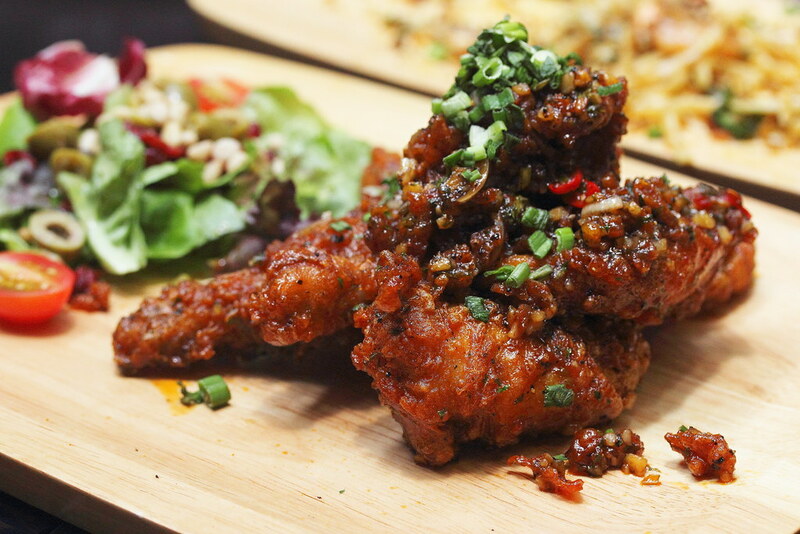 We were quite taken back when the Spicy Buffalo Frog Legs ($16.90) was served. The size of the frog legs were huge, fat and juicy. I enjoyed the re-interpretation of the buffalo wings, replacing it with the frog legs. A good change from the usual. Depend on the season and supply, Gills & Shells offers fresh shucked oysters from varies countries. 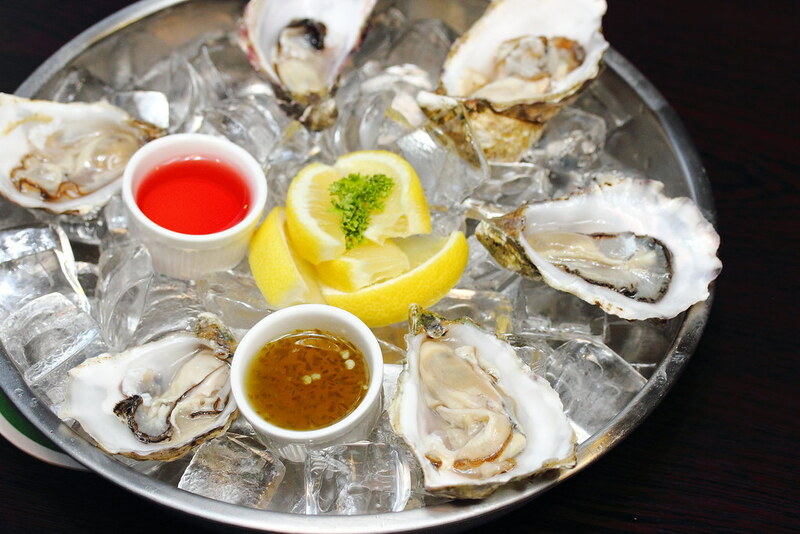 The Freshly Shucked Oysters ($22.90 half dozen) is served with homemade marmalade and French red wine vinegar sauce. 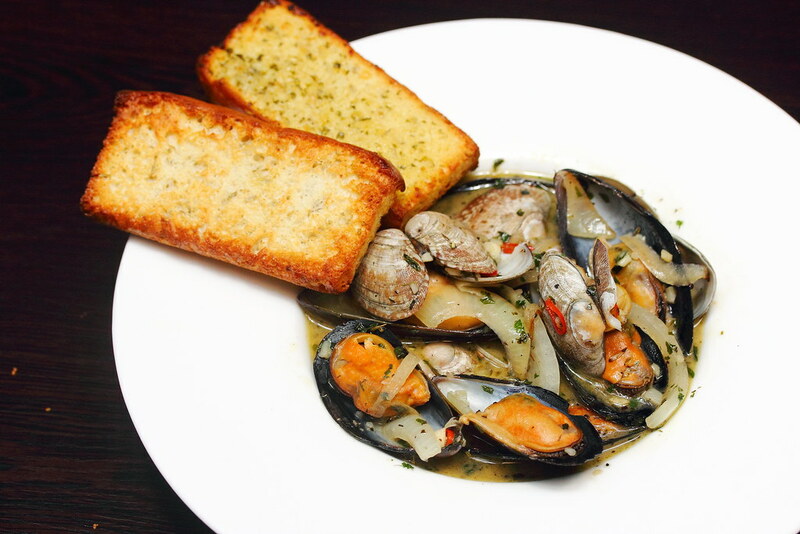 Another shellfish dish on the menu is the Clams and Mussels ($15.90). The shellfishes are cooked in a spicy white wine clear broth with herbs, garlic, onions & chilli. It is best to enjoy the broth by dunking the focaccia toast into it to soak up the beautiful flavour. 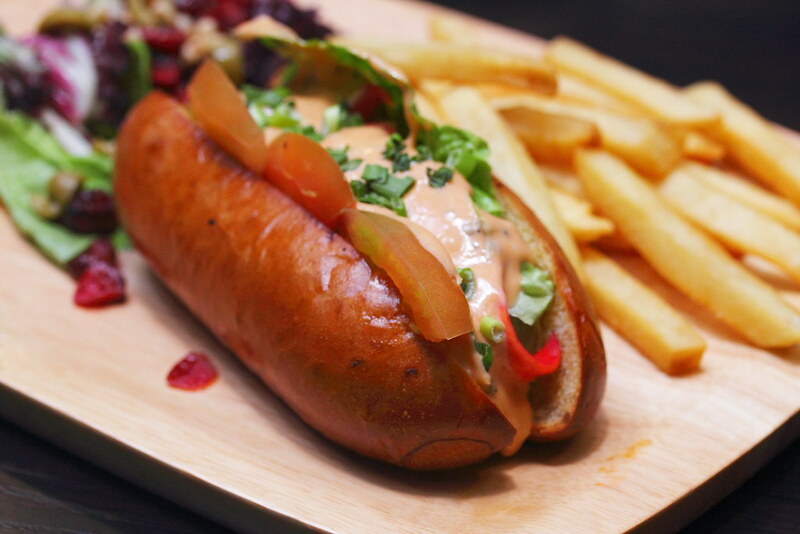 I was craving for a glass of beer when I had the Lobster Roll ($24.90) tossed in the delectable Chef's specialty sauce. Sandwiched in between the bun is chunky pieces of succulent lobster meat. The dish also comes with a choice of rice (pilaf), fries or mashed potatoes. The dish that stole my heart at Gills & Shells is the Truffle Infused Cod ($24.90). The highlight of the dish was not the truffle but the chye poh topping. 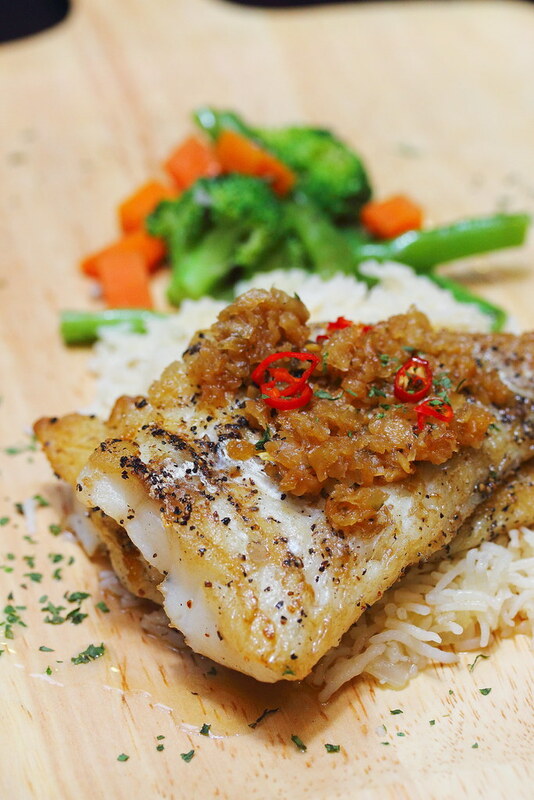 The Asian influenced pairing of chye poh with cod fish works excellently, complementing each other. In fact, the truffle was not necessary to me. I would rather let the chye poh be the star. It comes with a choice of rice (pilaf), fries or mashed potatoes. The Salted Egg Pasta with Tiger Prawns ($18.90) and Hae Bee Hiam Pasta with Soft Shell Crab ($18.90) is two new additions to the menu. The salted egg pasta is slightly different from the norm. On top of the salted egg sauce, there is a peppery kick to it. It felt like having aglio olio pasta with black pepper salted egg sauce. A different execution of the salted egg yolk sauce which delighted my palate. 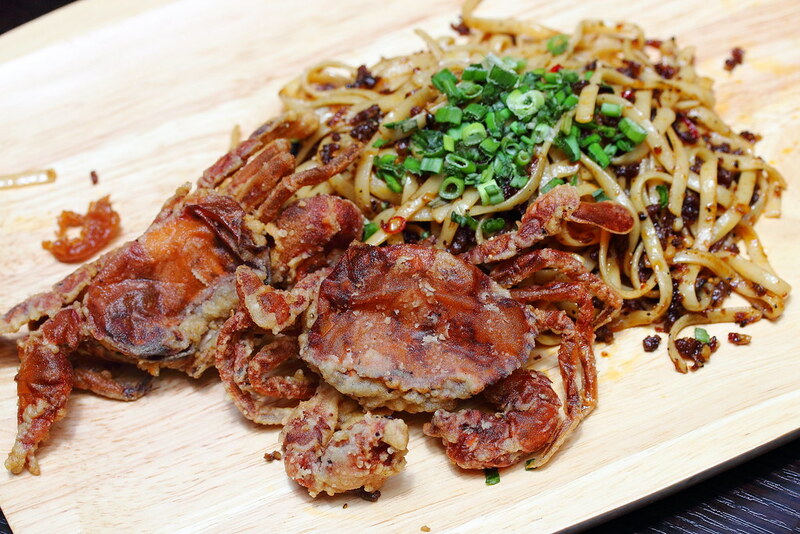 The Hae Bee Hiam Pasta with Soft Shell Crab is the other Asian influenced dish on the menu. 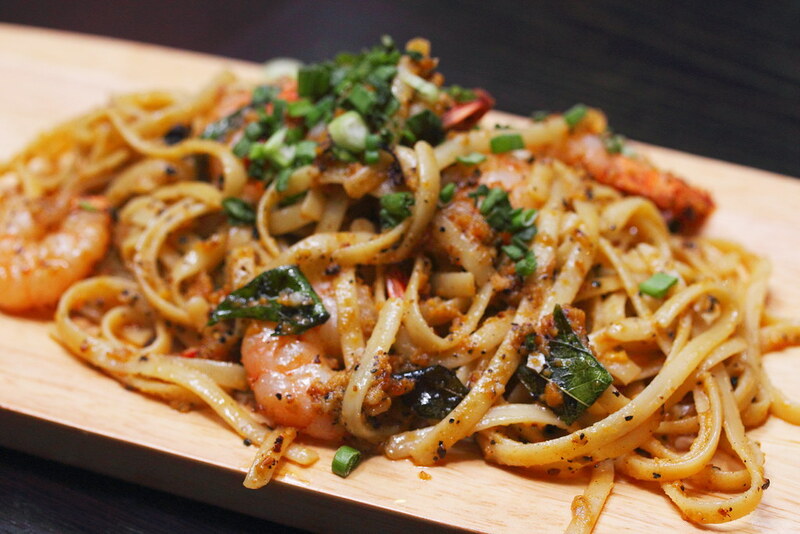 The dried shrimp chilli tossed together with the pasta provided that extra lift in flavour. To be frank, I did not have much high expectation of the food until I tried them. I was pleasantly surprised that the kitchen did a good job. My most memorable dishes are the spicy buffalo frog legs, cod fish and pastas.